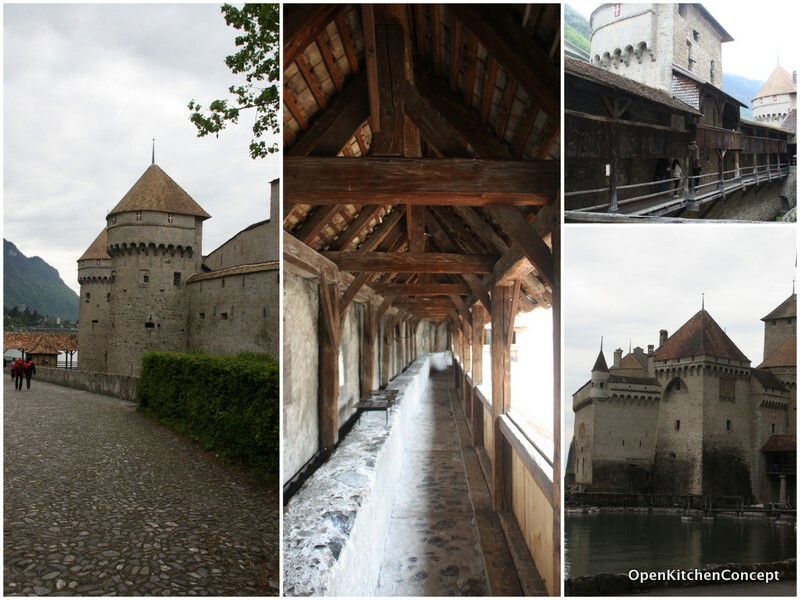 Château de Chillon is located on the shore of Lake Geneva in 3 km from city centre of Montreux. Montreux is an interesting city. It's the only French city of Switzerland we visited during our trip.. and it's interesting to suddenly start hearing French being spoken and seeing signs in French, after a couple of weeks of reading German signs and trying to decipher some of the announcements in German. The Chateau is listed as "Switzerland's most visited historic monument" - it really isn't that very impressive a chateau, but it is very old and made up of many buildings connected to one another, so it was a good place to spend the afternoon exploring. There were exhibits of witch hunting in Europe when we were there so it was not only an interesting afternoon.. but an informative afternoon as well. I just love these European chateaux! !